February 23, 2018 at 7:56 pm. Our last blog post featured Part 1 of your exclusive use stay in Scotland incorporating a trip to the Black Isle. It focused on the history, culture and scenery that this majestic part of the Scottish Highlands offers the discerning tourist. This beautiful part of the world should definitely be a on the tick list for anyone visiting Scotland as a luxury travel destination. 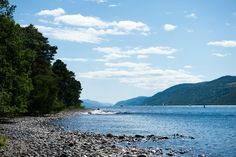 From coastal walks to castle ruins and the quaint towns and villages in between, we showed you how to best enjoy the wonder of the Black Isle from your luxury holiday on Loch Ness. This week we’re introducing Part 2 of our post which focuses on the Black Isle’s dining and drinking scene. We pay particular attention to the tourist hot spot, The Black Isle Brewery. Hop on board for a taste of what’s on the menu in this remarkable and thriving peninsula in Scotland. The Black Isle region spans from the village of North Kessock all the way up to the town of Cromarty. There are many haunts to sample good food and drink (we are in Scotland after all!). But here are just a few well selected cafes, bars and restaurants to delight during your exclusive use stay in Scotland. 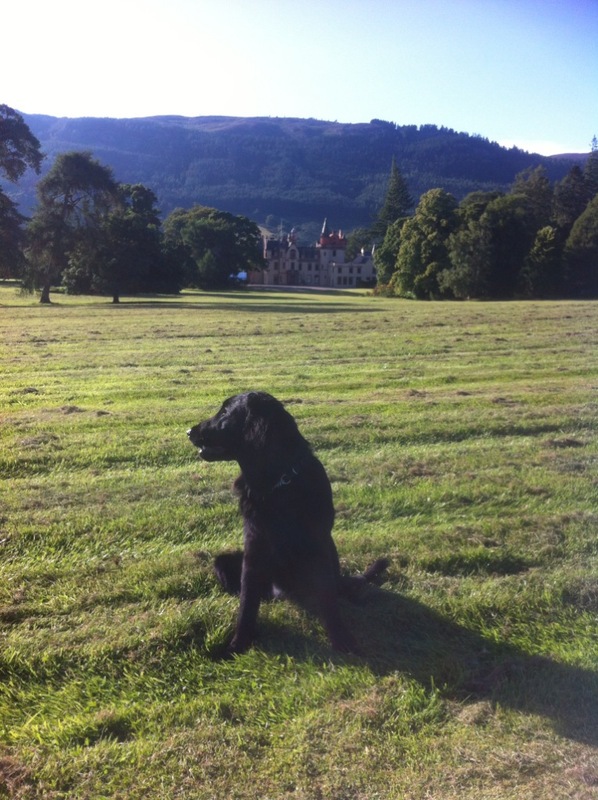 Many of the Castle’s guests book a luxury multi-generational stay at Aldourie. Therefore, they are often looking for family-friendly places to eat when adventuring outside the five star property. 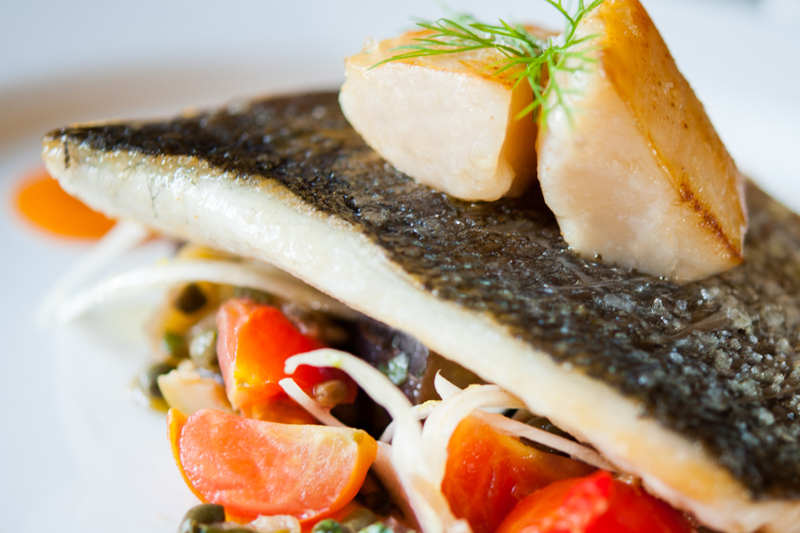 The hotel based restaurant Chanterelle Kinkell has just the right amount of everything you’d want from a dining venue. It has featured on many an itinerary of guests during their exclusive use stay at the Castle. And it’s not too far up from Inverness. Aside from its name drawing in the crowds for its simple allure, Chanterelle Kinkell is a brand new restaurant. It offers dining throughout the day including lunch, afternoon tea and dinner. Within a peaceful, stylish setting the restaurant provides a friendly atmosphere, well presented and delicious cuisine and a fine wine list, all alongside striking countryside views. What’s not to love? 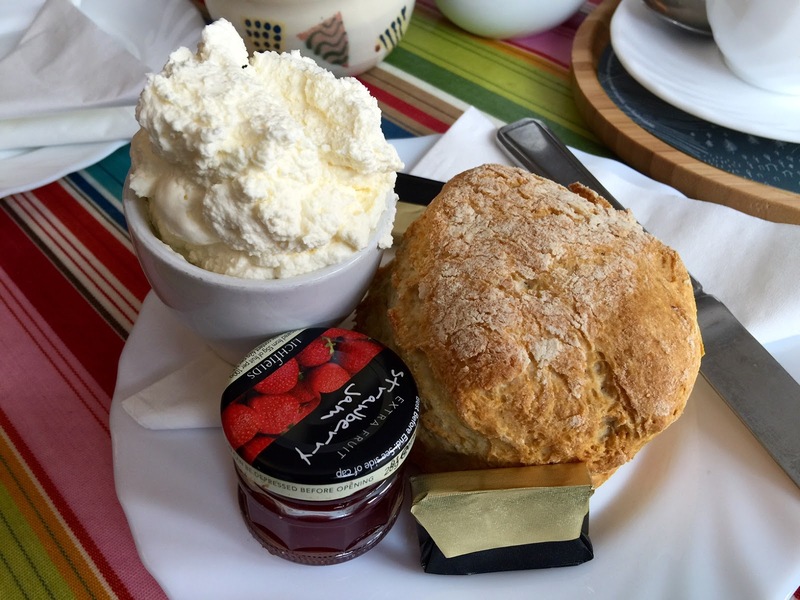 Fortrose Café is a delightful place to stop off to have a tasty lunch if you’re travelling as a family. Conveniently placed on the high street it’s a high quality and friendly place to eat. It masterly combines a stylish, cosy atmosphere with great food. If you have little children with you during your exclusive use stay in Scotland, you can keep them entertained. The kids’ corner is greatly appreciated while you sit back with a mug of freshly ground coffee. From cakes to light lunches and warming pies on a chilly spring day, you’ll find something for all your party. Dining here will set you on your way for an activity-fueled afternoon. Aldourie also recommends Applecross Walled Garden not just for its charming location, which features beautiful flowers and wildlife. Whether you sit inside or out on the elegant garden chairs you can enjoy creatively prepared dishes, delectable afternoon teas and fruity homemade juices. Coupers Creek in Cromarty is a café-come-gift shop. Its nostalgic stripy tables perfectly complement the colourful Highlands gifts on sale. The tempting hot and cold sandwich menu also features traditional ice-cream sundaes and milkshakes. It depends what type of dining experience you prefer during your exclusive use stay in Scotland as to where we would recommend our guests book a table. Here we’ve selected a few seafood restaurants because in the Black Isle there’s nothing but water all around. Seafood is the speciality here so here are Aldourie’s top 3 seafood restaurants for exquisite food within a unique setting. Sutor Creek in the historic town of Cromarty is famed for its wood-fired pizzas and tranquil harbour location. 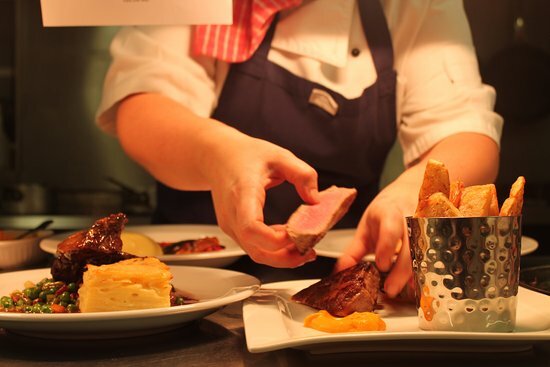 It is committed to serving locally sourced cuisine from the ‘Black Isle’s natural larder’. Dishes range from exceptional meats and vegetables to edible flowers and foraged mushrooms. 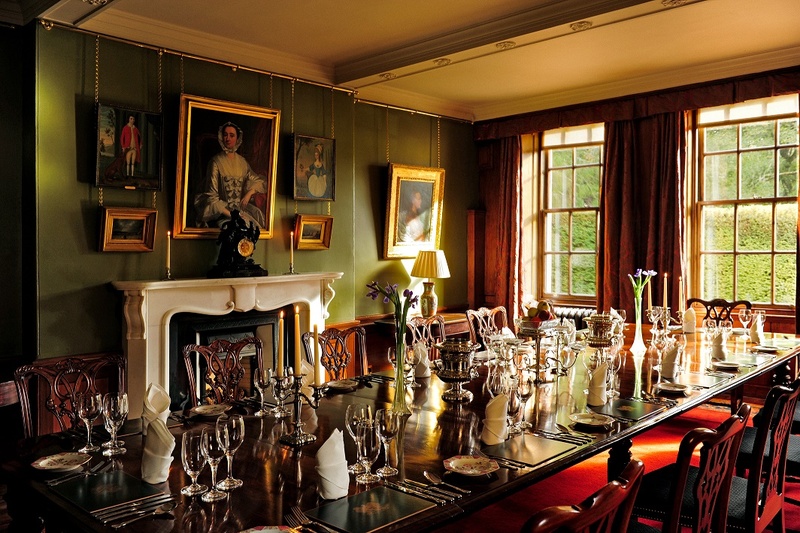 Looking to eat off the beaten track during your adventurous exclusive use stay in Scotland? Try SALT Seafood Kitchen in the heart of the long linear village of Achiltibuie, between Ross and Cromarty. This is a wonderfully Scottish-sounding restaurant in which to enjoy a true Scottish dish. On the waterfront on the shores of Loch Carron sits Plockton Shores restaurant, a small friendly village eatery with heaps of local flavour. 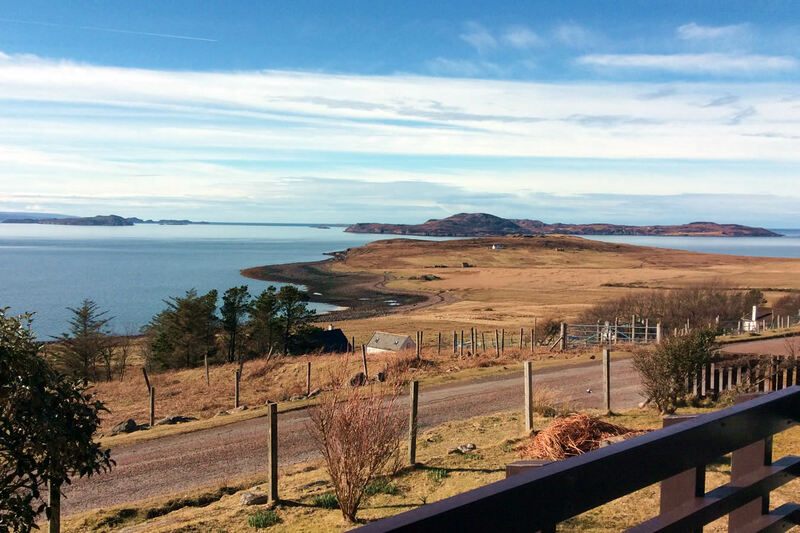 Enjoy a bowl of fresh mussels overlooking bobbing sailing boats, chirruping wildlife and the loch. This famous tourist destination in the Highlands is a well-loved haunt for many exclusive use stay guests at Aldourie Castle. Predominantly a brewery specialising in world class organic beers brewed in the Highlands, it is also a stylish bar. The welcoming Black Isle Bar features all the Black Isle Brewery’s drinking produce. It also boasts a deliciously rustic food menu all produced from the on-site farm and other local organic suppliers. The tourist attraction is situated near Inverness as you approach the Black Isle. On your exclusive use stay in Scotland, you can either enjoy it going up to your destination or back down. Why do exclusive use guests of Aldourie go there? There are so many reasons why this place is such a popular tourist destination for those travelling to Scotland from overseas or the UK. 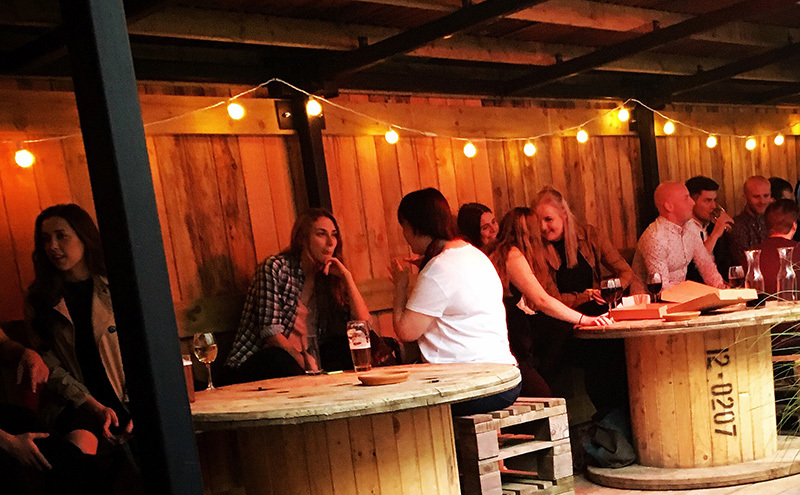 The Brewery’s beer is its obvious pull – there’s nothing like grabbing a table here and rejoicing over a freshly pulled pint of craft beer and a wood-fired pizza and crisp salad. The perfect lunch. 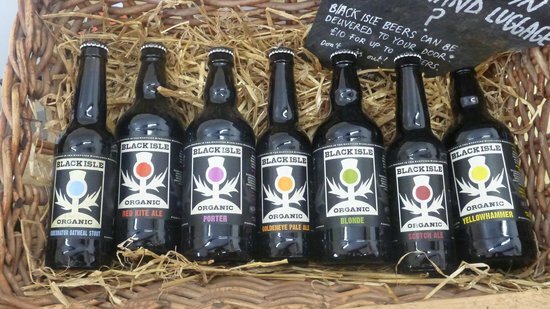 The popularity of the Black Isle Brewery could just as easily be its rags-to-riches start up story: unemployment led the determined David Gladwin to produce a world class beer in an environmentally-friendly way. What does the tour involve and what will you see and learn? The Black Isle Brewery uses only the finest malt and hop grown on farms and without any chemicals, ‘just as nature intended’. It houses its own organic farm where it grow malting barley for brewing and even has a dedicated brewery house cow, who eats the malt from the brewery mash tun and in turn provides the brewery with 20 pints of fresh, creamy milk every day. On the tour you will venture outside to witness the brewery’s self-claimed ‘beautiful, unspoilt, unpolluted, wild, and more than a little bit wet, highland home’ that keeps its staff and owners very happy indeed. Black Isle brews up to 10,000 litres of beer a day, which is then packaged in bottles, casks and kegs. It is later shipped all over Scotland, the UK and around the world from Sweden to Japan. The brewery makes a variety of beers including a wheat beer and a blonde ale. All the beers are organic and suitable for vegetarians, as they do not use isinglass in the brewing process. Now the entertainment and cuisine of the Black Isle has been catered for with this article we look forward to completing our Highlands tour with a look at some of the best towns and villages in the Black Isle. 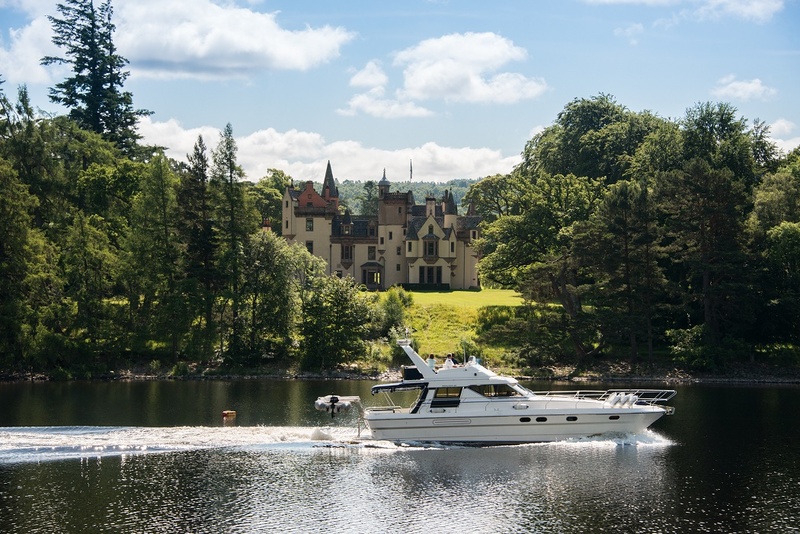 For more information on hiring our Aldourie Castle for an exclusive use stay on Loch Ness in Scotland please visit our ‘Contact’ page on the website. June 24, 2017 at 5:09 pm. You’ve enjoyed the convenient flight to Inverness Airport or furthermore taken the swift route up the A9 to Inverness. Now you’ve arrived at your destination and you’ve driven through the large iron gateway to Aldourie Estate. Next, experience the long winding drive through glorious parkland that takes your directly to the door of the Castle. Secondly you’ll be greeted at the big Castle door by the property’s hospitality manager. A small but dedicated team will make sure you and your business guests experience only the highest standard of hospitality during your stay. You have arrived at Scotland’s most welcoming exclusive use executive retreat. As with any private hire property in Scotland, the quality of food at Aldourie Castle is of the highest standard. The competition for luxury exclusive use executive retreat is growing therefore no private use property can rest on its laurels. Lucky for you; our guests. You are about to be spoiled by a succession of sophisticated dishes. 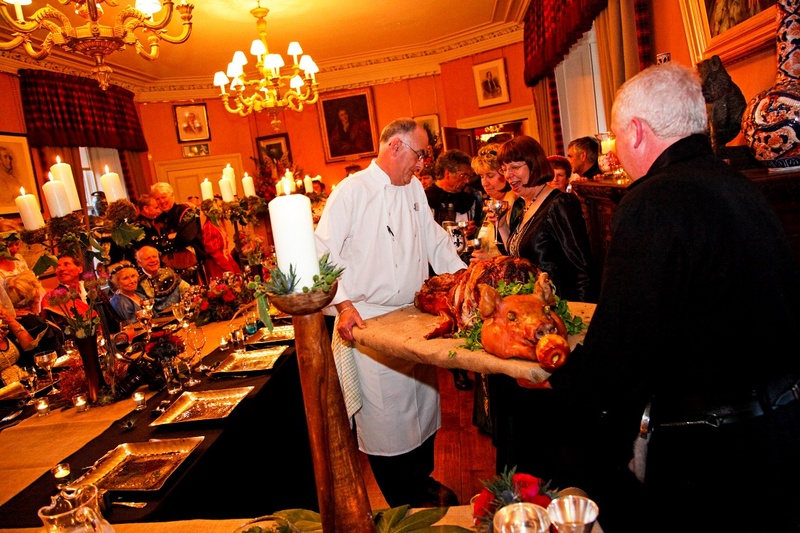 All Aldourie’s cuisine is planned, prepared and cooked by our private Castle chef. Dinner is a treat offering the finest meat, fish and game from the Scottish Highlands alongside the freshest local produce. 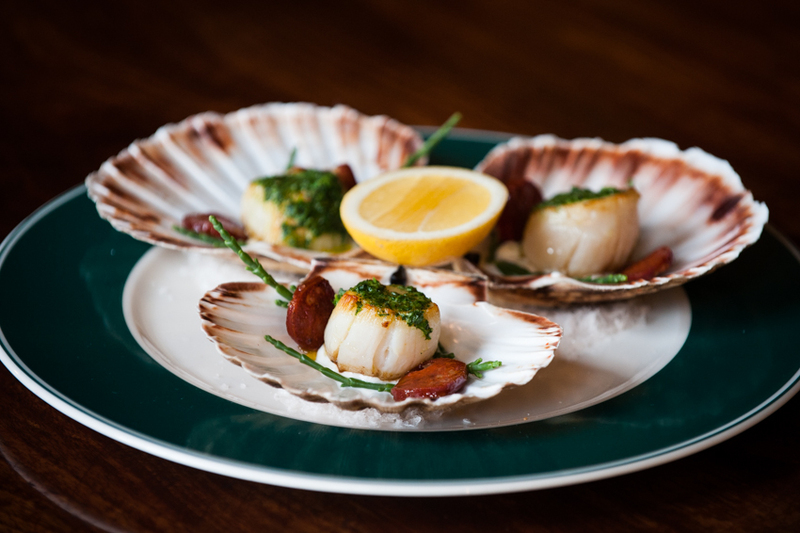 Applecross scallops with crème fresh and chorizo. roasted loin of Speyside lamb cooked with olives and rosemary. Passion fruit meringue with strawberries. Selection of Scottish cheeses with oatcakes. 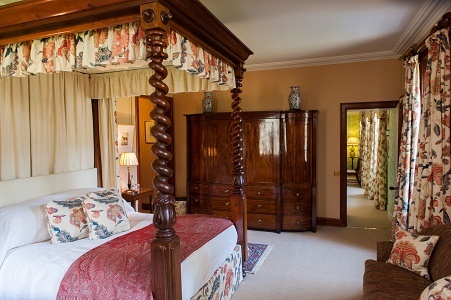 Here are a few of our beautiful bedrooms, all with four poster beds and private bathrooms. They offer the ideal setting for an exclusive use executive retreat for corporate and business group stays. Lady Grey – this room is a sophisticated suite perfect for your top client. Its regal red decoration and dark wooden furnishings make it warm and luxurious. Besides, a large bay window looks over the Estate makes for a light and spacious room to impress. Fraser Wing – allocate this relaxing executive suite to your CEO or Chair. It features a separate living space to relax and rejuvenate whilst calming autumnal tones decorate the bedroom. 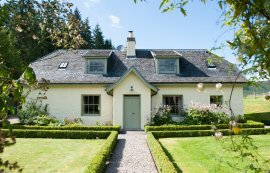 Old Nursery Wing – this is a nostalgic space with loch views, perfect for creative thinking. Light, airy and atmospheric, this room is full of character. To say there are no rules at Aldourie, an exclusive use corporate retreat on the edge of Loch Ness, would be a little unwise. However, we have simple rules that are easily played by. And we certainly have none when it comes to how you wish your business meeting or event to pan out. The expertise of our hospitality manager and team will be at your disposal, however, and can greatly simplify your workload. Trust us to advise on the best spaces and rooms for specific tasks and events. Drawing Room – the spacious and large L-shaped room features copious amounts of light and varied views. Making it ideal for presentations and small conferences. Lairds Room – Furthermore the Laird’s room with its large oak table with comfortable chairs is ideal for a BoD meeting or private, interview/catch up meeting. Main Hall – this has just had a stunning new makeover and makes a great welcome area and networking space. In addition you can also order a hot or cold buffet lunch can be served and guests can retreat to the terrace overlooking Loch Ness. Our Chef is keen to provide healthy nutritious food for all our corporate guests during the day. This helps the brain take a well-needed rest and encourage enthusiasm for the afternoon ahead. Fresh cold meat, eggs, salads and slow burning foods like healthy potato salads and herb infused pastas. A light buffet will be just the ticket to get the creativity flowing for that brainstorming session in the library. Finally, Afternoon Tea will be served; the perfect break needed to make the most of those last few hours of business during your exclusive use executive retreat. Try fresh juices and fruit if you still have a challenging meeting ahead. Consequently you may wish to reward yourself for that afternoon presentation with one of Aldourie’s home-baked cakes. A selection of hot drinks will be available throughout the day. Enjoy these either indoor or outdoor before commencing another sit down dinner in the dining room. As with any exclusive use Castle, you will find an array of spirits and liquors lined up just waiting to be appreciated. Clock that 50 year-old whisky and furthermore sample a night-cap whilst listening to the gentle tide of Loch Ness. After a day of hard work treat yourselves to some bottles from the Aldourie wine cellar, which can be expertly chosen by our hospitality team to accompany any dish. 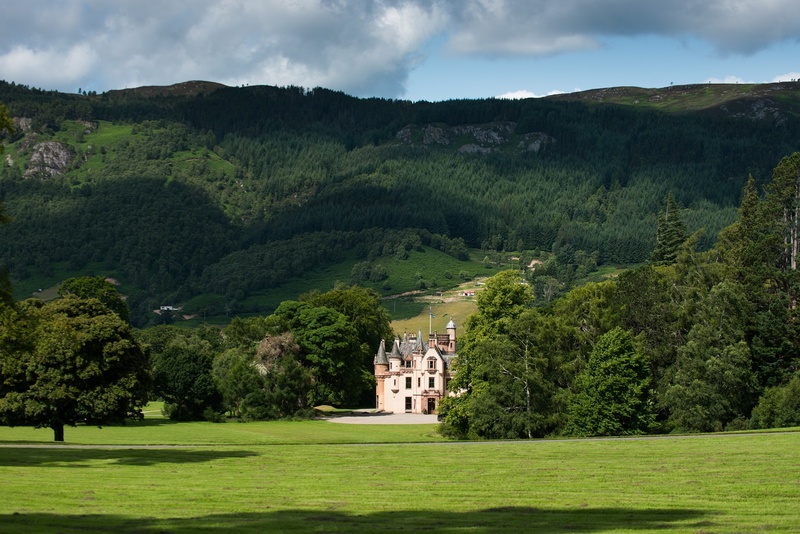 The 500 acre Aldourie Estate is also a fantastic location to carry out corporate outdoor activities. From Segway races around the parkland to team treasure hunts in the woodland, there is so much fun and adventure to be had during staff away days. Archery on the lawn or falconry are exceptional experiences not to be missed when you’re doing business in a spectacular Castle. For more information on exclusive meeting hire or corporate teambuilding opportunities at Aldourie Castle Estate, please contact the main office via our enquiry form. Alternatively, you can phone 01463 751309.  May 3, 2017 at 10:48 am. In case you need persuading we’ve listed our favourite five reasons why you might want to stay in a castle. Of course, we could have focused on the exclusivity of some castles, perfect for private family holiday rentals. Or we could have enticed you with talk of luxury bedrooms and spectacular window views. Instead, we’ve considered what might come to mind when conjuring up the image of a castle in your head. If you had never considered a stay in a castle, whether for a luxurious group holiday or special birthday celebration, it’s time to give in to your inner romantic and realise the wonder behind every castle wall. Once upon a time people would get married in a church. Then came the shiny, swanky, spotless hotel and that became the ideal wedding venue. But nowadays, brides want it all – and that can often mean getting married in a fairytale castle…but, of course! Not only can couples officially ‘get married’ but they can also stay in a castle overnight and so can their guests. 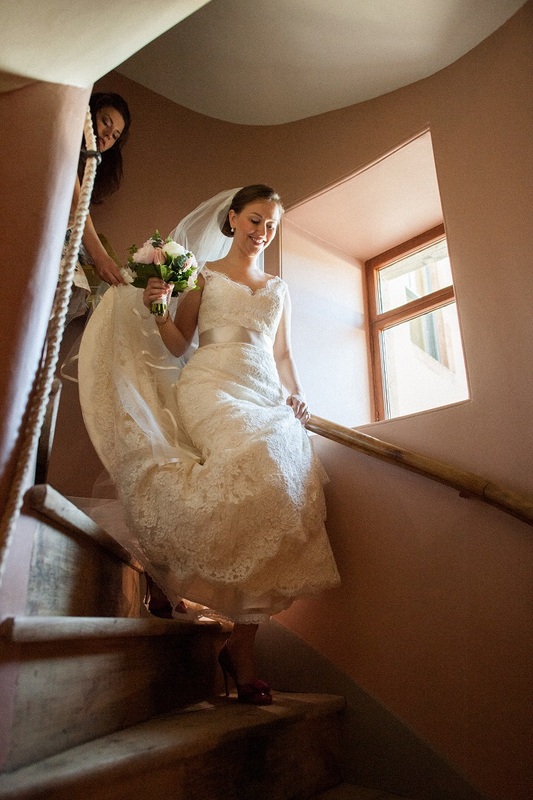 Whether for your intimate nuptials or full blown celebrity wedding, insist on posing for photographs in the highest turret and use the spiral staircase as part of your walk down the aisle. Because surely, if they had gotten the chance, Rapunzel and Sleeping Beauty would have done the same thing. Traditionally, one of the main reasons a castle was built was to ensure protection from enemy armies. They had cold rooms, grey stone walls and floors, and tiny windows to lessen chances of danger getting in. Some castles, in Scotland most definitely, remain precisely this way to this day. These Scottish castles are fabulous for tourists wanting to get a feel for life in the olden days. However, they’re not so enticing for the luxuries one longs for when escaping for a week or two’s holiday. Now that the exclusive use property has taken off like a cannon ball, many castles have been restored and renovated with more opulence and comfort than they’ve ever had before. Large families searching for that special reunion location can stay in a castle equipped with everything expected of a luxury holiday rental. These range from impressive technology to a five star hospitality service. 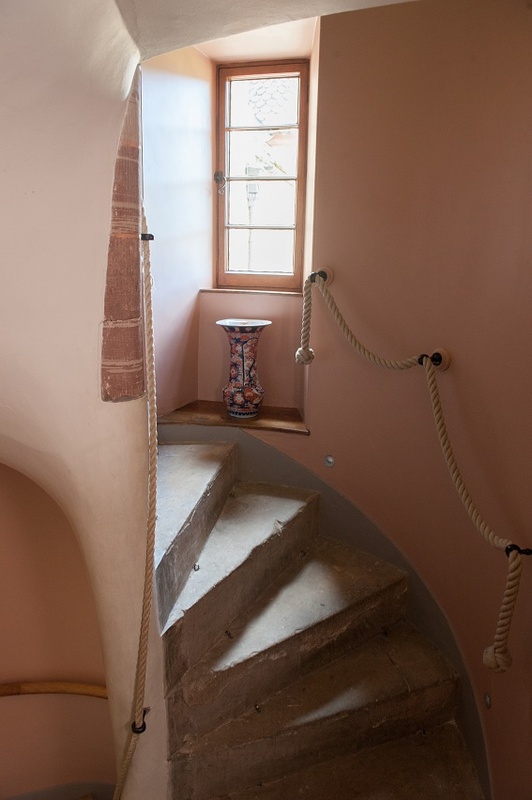 The added benefit is the history that comes with a castle, from architecture to stories of the past within. A castle stay is ideal for a multi-generational holiday. 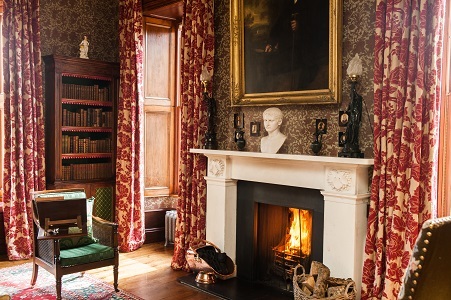 For example, mum might enjoy the peace and quiet of the old library but granddad will have a whale of a time taking the kids around the nooks and crannies of the castle giving them history lessons mixed with old Scottish fables. 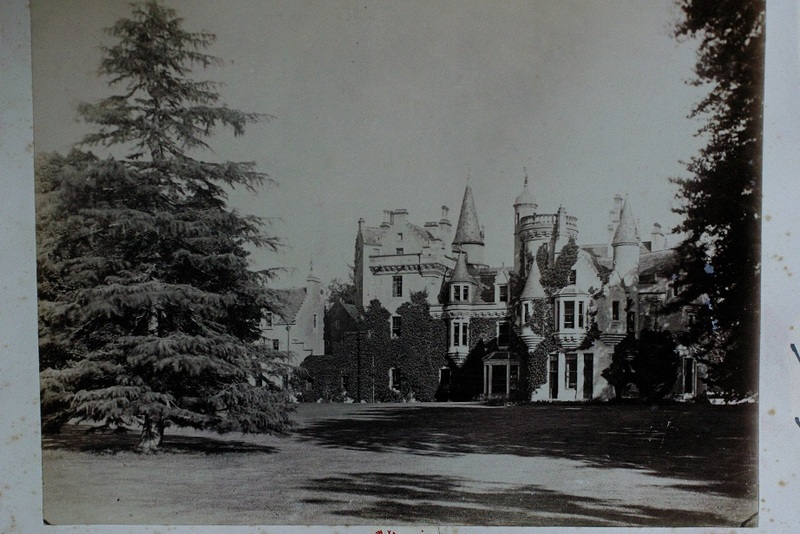 See some photos of Aldourie Castle long ago on our History page. From ghost stories round the fire, to Hide and Seek that could last a day, a castle is an Aladdin’s Cave of adventure for a Halloween stay. Not every castle is destined to be haunted, but because of its history it’ll most certainly have ‘atmosphere’. Whether a castle built for battle or an old mansion house converted into one like Aldourie, it will have an interesting past. Wouldn’t it be exciting to stay in a castle with a group of friends over Halloween? You could enjoy themed outdoor activities (arranged by the castle staff) and then make your own fun inside? You could indulge in a Halloween feast and decorate the halls with cobwebs, have a Fancy Dress evening and even carry out a Murder Mystery dinner. Thrilled by this idea? Read our Halloween House Party blog post for many more reasons to stay in a castle over Halloween. 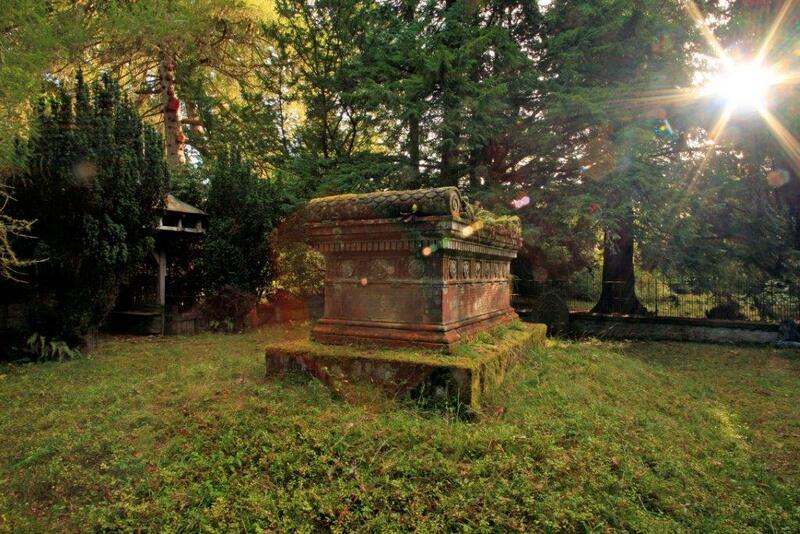 It includes lots of spooky ideas for Aldourie Castle – which has its own graveyard, you know? Many castles designed for exclusive use or private hire, and notoriously Scottish castles, will feature their own moat. Quaint as this may seem, the moat surrounding the castle was, again, there to make it difficult to attack. If you are lucky enough to stay in a castle with a moat you can access, we suggest family fun activities such as zorbing, outdoor water sports like canoeing and, if the weather permits, wild swimming. Though we are not sure how wild swimming in a moat could be. In Aldourie’s case, the Castle has something better than a moat; it has magnificent Loch Ness on its doorstep. Let us arrange a ride on the Nessie Hunter, private boat trips to Fort Augustus and water activities in front of the Castle. Water sports are a wonderful way to get everyone in a group stay involved in the holiday fun. Nobody should really require an introduction to this point, but if in doubt; think Disney. Beauty and the Beast, Cinderella and Shrek each have castles at the core (and heart) of their stories. Imagine telling the kids you’re all going to a land Far Far Away to stay in an enchanted castle. (The journey to the Scottish Highlands where Aldourie Castle is located, for example, could definitely qualify depending on where you live). Now, surely that’s better than DisneyLand! There will be boundless opportunities already on offer in many castle grounds. For instance: treehouse antics, woodland to explore, a game of Tag/Tig in the parkland, Billy Goat’s Gruff if there’s a bridge and stream. Kids can create their own fun on a rainy day playing Make Believe, having the authentic props to hand. Should a back-up be needed most exclusive use castles have a dedicated games rooms where you might find a billiards table, large screen TV and board games – but we’re moving onto Times of the Modern Castle now, and that’s another story. For some of you, the thought may never have crossed your mind before reading the amazing reasons above. But, if you do decide to stay in a castle maybe consider this Castle on Loch Ness. The Aldourie experience would provide you with memories to last a lifetime. On top of that, it could end up being the staple family holiday for generations to come. Make your own history at Aldourie and enquire about exclusive use availability at: info@aldouriecastle.co.uk. January 7, 2017 at 11:51 am. Your Ruby wedding anniversary was a different story; a quiet country hotel with just a few rooms, each taken by different couples most likely away on their own anniversaries. Anonymous yet intimate, but sort of passé, don’t you think? So, now that it’s your Golden anniversary, instead of staying in a beautiful setting full of strangers, why not create your unique paradise in an exclusive use property with those closest to you. After all, this is a very personal time in your life and it’s your time to shine. As you wind down the drive to Aldourie you realise one thing; that you have never arrived at anywhere quite like it. And you never will again. What better thought to start off your anniversary celebrations? With an imposing castle door, stately rooms and beautiful castle grounds, the scene is set for a romantic getaway. But let’s not forget the reason you’re here – to celebrate! Aldourie oozes enough charm, ambiance and style to rival any regal place. 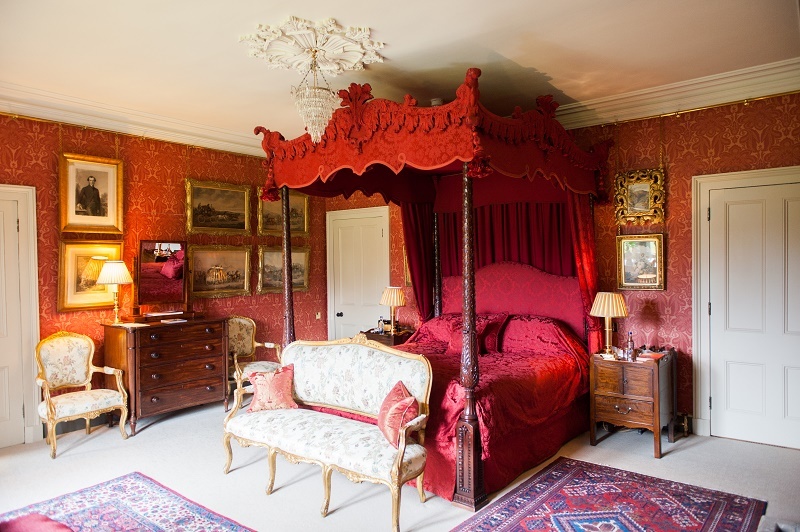 So, spoil your guests with luxurious surroundings, bedrooms fit for royalty and food of the highest order. Here, you’re all left to enjoy the Castle and Estate in your own way and in your own time. With just the sounds of wildlife at your door you’d be forgiven for thinking you’re miles away from anywhere. In fact, the main road to Inverness is just outside the Castle walls and direct flights go from London Heathrow to Inverness airport daily. This means a private hire Castle in the Scottish Highlands is a lot more accessible than you would at first think. Anniversary celebrations come in all shapes and sizes. So there’s no reason to stick to something tried and tested just because it works. Trust us; everything works and anything goes at Aldourie. But by all means be led by recommendation. What would we suggest? Drinks and canapes in the Drawing Room, an elegant feast in the Dining Room featuring the best of Scottish cuisine, followed by a party in the Main Hall. If a summer anniversary celebration, your guests can overspill onto the lawn that reaches down to Loch Ness. Note: Ceilidhs certainly vamp up any party especially if you hoped to accompany your traditional Scottish Castle with traditional dance and music. And night caps are best enjoyed in the library against the backdrop of bookshelves and dark wood. But don’t be surprised if the wanderers amongst your party decide to stray and find themselves stargazing from an inviting-looking window seat or roaming portrait-laden passageways looking for a wardrobe that leads to a whimsical wintry world. The beauty of a great celebration at exclusive use Aldourie Castle is the possibilities it creates. Whether you stay for a weekend or two weeks for your special celebration, rest assured your every whim can be catered for. You may wish to have one main party evening to celebrate your anniversary with a host of activities strewn throughout your stay. We can organise any activity, from Charades around the fireplace to a full blown Nessie hunt on Loch Ness. An exclusive Highland Castle such as Aldourie can inspire a traditional Anniversary Party Celebration to exceed itself. And the beauty of that? It’s likely to become one of your best memories of all because it includes all your favourite people. December 6, 2016 at 3:45 pm. 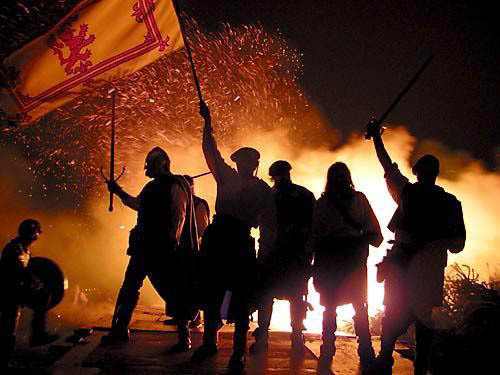 Hogmanay is the name the Scots give to their celebrations on New Year’s Eve. Where did the word originate? History suggests that its common roots reach back to the Norsemen – “men of the north”. This occurred in Scandinavia (between the 8th – 11th Centuries) who celebrated the winter solstice (the shortest day of the year) with wild parties during late December. The Gaelic Samhain winter festival and the Vikings’ Yule highly influenced these parties. The Scots labelled these celebrations ‘daft days’. Hogmanay culminates in a real mix of cultural, national and historical influences now that has been established for a few centuries it. The best celebrations always do! 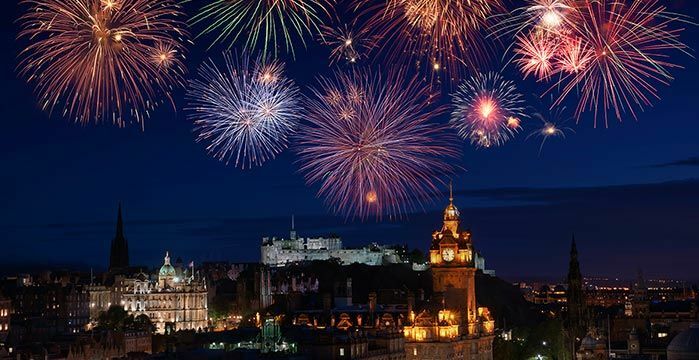 How do Hogmanay celebrations differ from New Year’s Eve? The length of celebratory activities mainly differentiates Hogmanay from traditional New Year’s Eve parties. The former begins on 31st December but continues throughout New Year’s Day and into 2nd January (itself a public holiday in Scotland). This then divides the two celebrations culturally too. The streets in Scotland remain deserted while the rest of the UK is generally easing back into business. Hogmanay is celebrated throughout Scotland in varying degrees from the intimate yet ‘daft’ gatherings to the elaborate, eccentric festivals. The big cities fall into the latter category and Edinburgh leads the way with a huge 30th December torch-lit parade. This comprises an enviable fireworks display and various performances from up-and-coming acts to full blown rock stars. Everything is performed wholeheartedly to (always) enthusiastic, (sometimes) bemused crowds from more than 60 different countries. 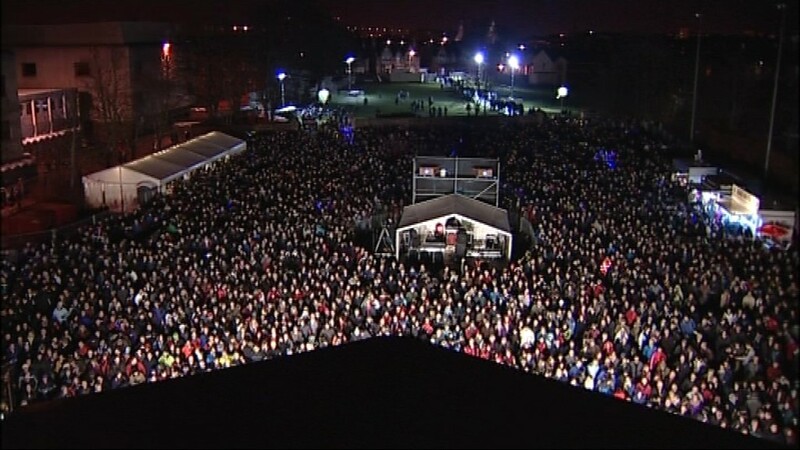 Either way, people feel privileged to be part of the throng and tradition that is Hogmanay. The Scottish capital’s largest crowd totalled 400,000 in 1996 and since then safety restrictions mean fewer people though the numbers are still high. Glasgow is another city that doesn’t disappoint. The Glaswegians can be seen singing, dancing, eating steak pie and stew, drinking by the gallon and storytelling till the sun rises on New Year’s Day. Scotland began to celebrate Christmas only in recent years. The festive holiday was abolished by the Protestant Reformation for 400 years and it wasn’t until 1958 that Christmas Day was accepted as a public holiday in Scotland. Then, in 1974 the Scots announced Boxing Day as a public holiday. Scotland instead had to work through Christmas and wait until Hogmanay to celebrate with family and friends. Is it any wonder now that this traditional get-together has become an exciting explosion of freedom and fun! It has to be said, there is no hiding it; the Scots love a good party. And that is usually the main focus of Hogmanay. But, if you’re lucky enough to witness this special celebratory period in Scotland you may observe, though you might not know them to be at first, a number of traditions as well. ‘First-footing’, where the first person to enter the house after midnight brings gifts such as food or coal, is the most popular tradition. It is regarded as affecting the fortune of the household for the coming year. This is dependent on the appearance of the visitor; the ideal guest is a tall, dark man. So, if you open the door to a flat-coat retriever called Lizzie wearing a Santa hat…well, you can guess the rest. There are other traditions. Watching abominable and cheesy TV programmes (ones you would never ordinarily choose to watch, of course) before the bells chime, and linking arms whilst singing with all the clan, a rendition of Auld Lang Syne, the famous poem written by Robert Burns. 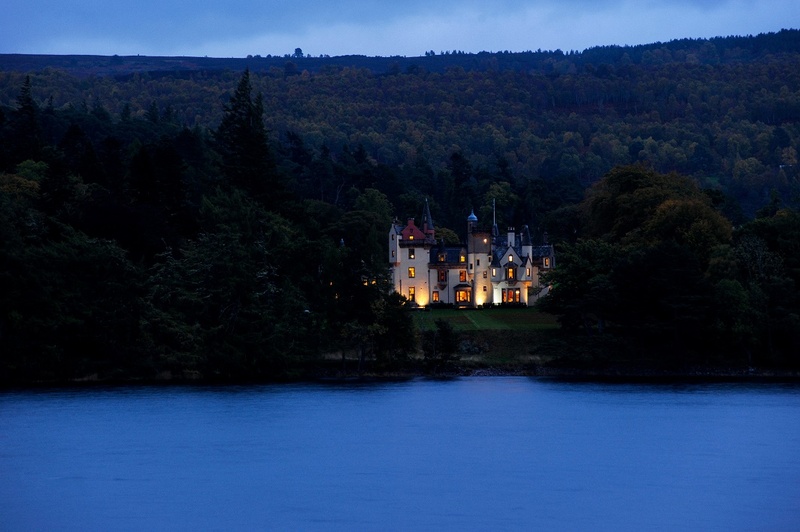 Speaking of which, why not book your New Year’s celebrations at Aldourie Castle on Loch Ness? It’s unique, luxurious and scenic; the perfect backdrop to a house party style that’s seen a lot more of Scotland’s history than anyone alive today. While there’s no rules to celebrating Hogmanay, maybe your first attempt could be kept quite simple with the core elements of Scottish culture at its heart. Many Scottish families this year will be sitting down to a delicious meal with family and friends with the drink flowing – oh, please don’t forget the whisky – to help bring in the new year followed by a steak pie dinner the next day. Should your head be a little sore ask any one of our dedicated hospitality team for a glass of Irn Bru (or a bottle). We’re almost certain this bright orange fizzy drink has been curing hangovers for centuries too. November 1, 2016 at 8:42 pm. This year has seen a tidal wave of new business come to Inverness through both leisure and corporate tourism. Since May 2016 Inverness airport has welcomed travellers from London Heathrow on a daily basis. The direct flight is a great benefit to corporate travellers who wish to commute to Scotland. This applies to travelers from London and from overseas. 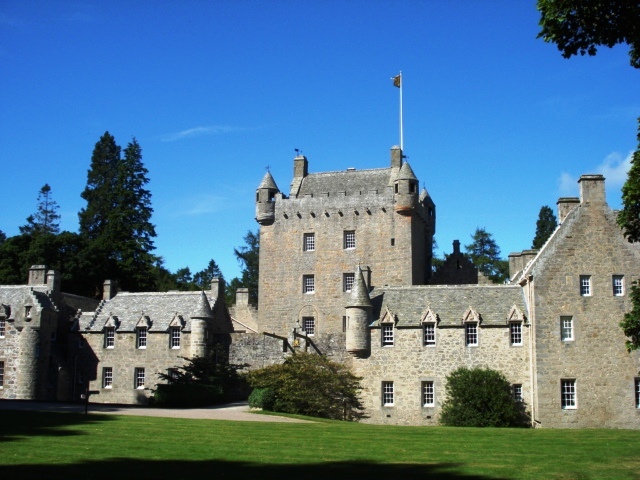 Aldourie Castle has been host to many American guests as a result of the convenient new flight. Guests see the advantage of a little longer airtime in order to experience the beautiful and wild Scottish Highlands and mesmerising Loch Ness. Since May this year the direct flight linking London tourism to Scotland has operated as a year-round service. Its first flight of the day departs from Heathrow just before 10am with an afternoon flight from Inverness back to London. This remains an exciting opportunity for Inverness, the Highlands’ capital, which already has a strong link to economy. The tourism offering in the Highlands can capitalise further from travelers flying in from overseas and London who previously may not have considered travelling up to Scotland before. Now they can hold their multi-generational family holiday, luxury Scottish holiday, annual corporate event or board of directors meeting up here. This new option available to both the leisure and business tourism markets diversifies the British hospitality scene in general. It also makes a location once considered unusual and possibly logistically complicated, on par with the more conventional locations. Move over popular high end, but predictable, venues in the UK. What can a country estate offer overseas corporate clients? Places like Aldourie Castle on Loch Ness can offer guests who have traveled by plane a change in scenery and culture. This, as we already know, can work wonders for holidaymakers. A conducive environment can help guests to relax, focus and put things in perspective. A business would benefit from this type of support from a corporate hospitality location or property. Aldourie has spent time and effort in enticing London and overseas businesses to take advantage of the direct flight from Heathrow to Inverness. Both to encourage a more affluent hospitality business in the Highlands and a varied approach to luxury corporate travel. Meetings, events and client incentive stays are just some of the ways in which corporate guests can enjoy exclusive use stays in places like Aldourie. We have already seen an increase in interest from corporate clients. They are themselves interested in using the private hire Castle as a multi-functional business venue. August 16, 2016 at 9:56 pm. The Scottish Highlands is swarming with things to do at any time of year. 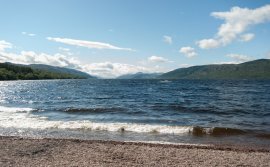 With so many day trips and activities available to you and your group or family stay on Loch Ness we understand it can be difficult to decide what to arrange to do or visit during your weekend or week at Aldourie. We think that packing your suitcase is the most you should have to work at when taking a luxury holiday to Scotland and so, if you were our guests staying for a while, we’d be suggesting you experience all or some of the below to get a real taste of the Highlands. And we can arrange every last detail. Located in Nairn (so around a 30 minute drive from Inverness) and a fun, cultural day out, Cawdor Castle is a beautiful place and one of the many historical delights of Scotland. The 14th Century Castle is open to the public and hosts a number of public events throughout the year including the Living Food Weekend on the 17th and 18th of September combining local food and drink stalls with art and craft. The Estate has a magical ambiance with a Hogwarts appeal. Its formal gardens, including a maze and walled garden, are a stunning array of wild and traditional flora where keen gardeners will find both enjoyment and inspiration. Home to the Cawdor family to this day, the Castle is not unlike Aldourie with its neat little turrets and lush green backdrop, within; its homeliness and attention to detail. 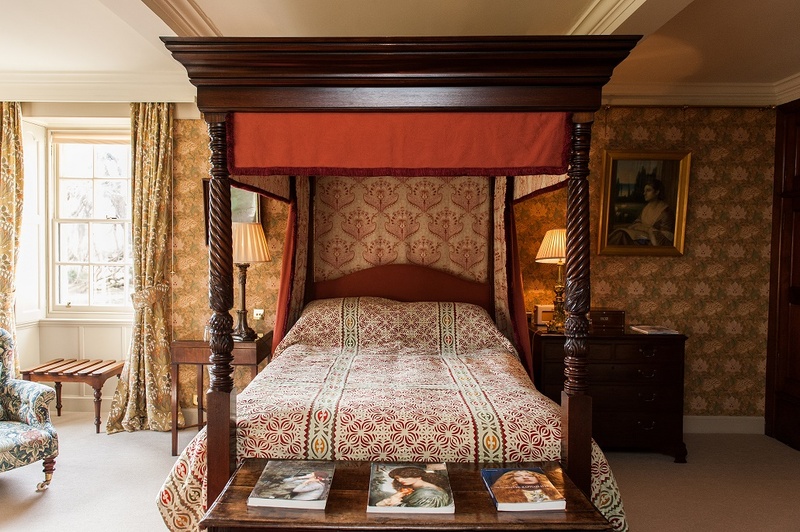 Wander through its beautifully ordained and decadent bedrooms admiring family portraits and heirlooms and look out for the family dogs lazing together in a cosy spot. Pause for a moment on the steps on your way to the Great Hall surrounded by high stone walls, arched doorways and original glassless windows to really feel the history of this Scottish Castle home. You have not visited Inverness without a trip to Culloden Battlefield. Let yourself be transported back 250 years when the European War hit Scotland for a one hour battle that changed the fate of the Highlands forever. 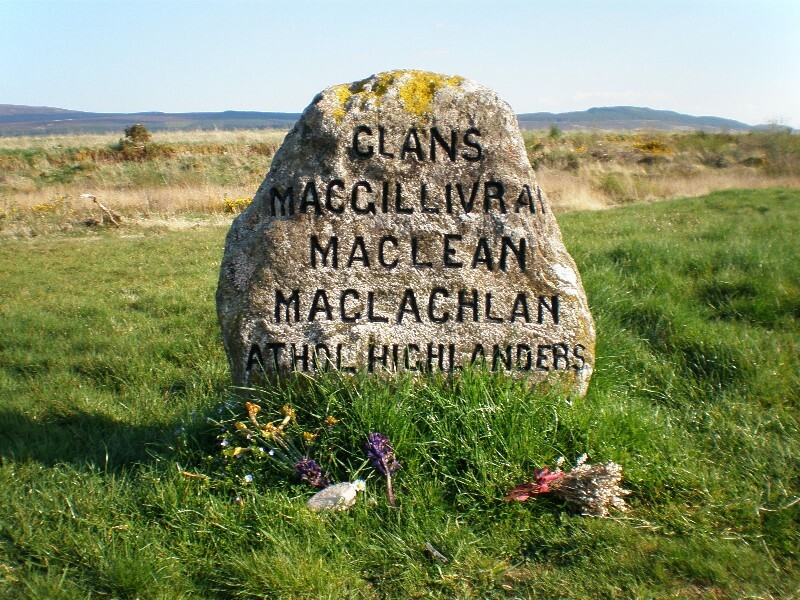 Culloden is a short break or holiday must-see attraction where infamous Scottish clans fought to reclaim the British throne; where much blood was shed and many stories over the years have been derived. The location is unique and beholds an immense amount of history; both in its atmosphere and its artefacts. The land you will walk over features ‘graves of the clans’ and ‘the well of the dead’ so be sure to head home to Aldourie before midnight so as not to let Culloden interfere with your fairytale dreams. Roam from the original farmhouse that survived the battle – Old Leanach Cottage – to the contemporary Visitor Centre with exhibitions including immersion theatre and audio visual, which re-enact elements of the famous battle before your very eyes. Step inside most distilleries open to the public for tastings and tours and you’ll find a cosy and beautifully displayed shop; a shrine to their brand. Neatly presented staff in matching uniform and numerous gift items related to the product – perfect for a grandparent present if you haven’t yet come across a decent magnet – greet each and every guest. There are so many small and independent traditional distilleries that there’s no room for complacency – you could literally go from door to door on a cold winter’s day in the Highlands and experience something heartwarmingly different at each one. 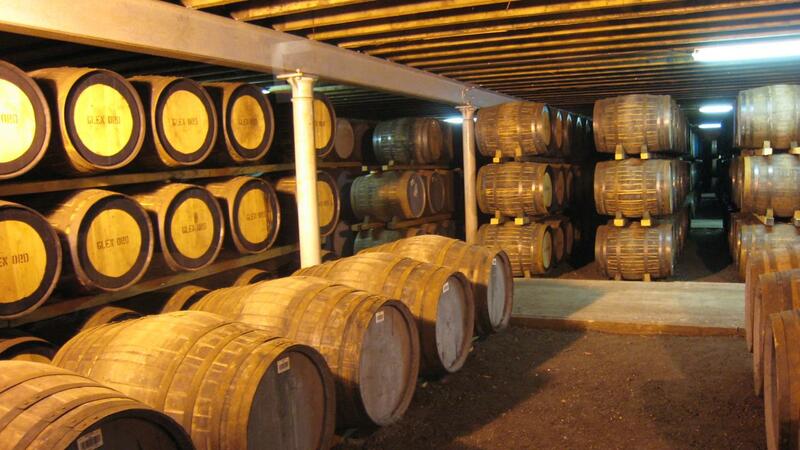 Let’s start off with Tomatin – a single malt Scotch whisky distillery established in 1897. This one is great for the kids as their tour guides keep the information clear and informative. 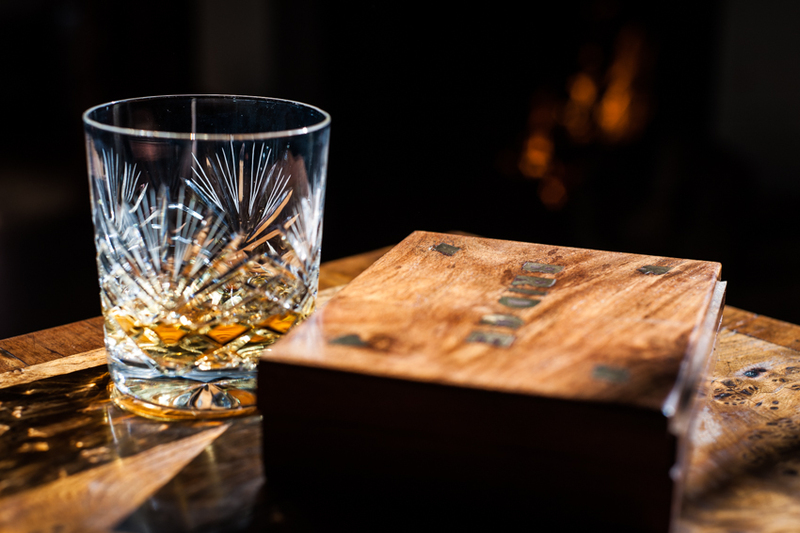 Efficiently run and ideal for the whisky novice this distillery just a short drive from Aldourie Castle offers a succinct and easy to understand introduction to Scotch whisky. Likewise, there is enough knowledge thrown in for the experienced whisky lover. With a remarkable family history dating back to 1263 and a distillery that helped ensure work for the local men throughout the 19th Century, Glen Ord Distillery is tradition at its best. Educational and helpful the whisky tours cover a wealth of information and knowledge, and are delivered with a passion for the brand and a dedication to its past. Weave through the working machinery to really feel involved in this historical malt. Situated 20 miles north of Inverness Dalmore combines a legendary past with a most picturesque landscape from a beautiful original stone built property. Is it any wonder Aldourie recommends this whisky distillery to guests? A creation of one man’s dream the whisky’s unique taste is owed to its unique natural setting. During your visit enjoy views over the Black Isle meadows whilst learning of the regal history of The Dalmore and tasting its characterful collections. From mashing to fermenting to distilling, all our recommended whisky tasting tours offer something unique and entirely Scottish. These makers are proud of their distinct product, their handmade single malts, state of the art machinery and in-depth processes, culminating in the purest dram. 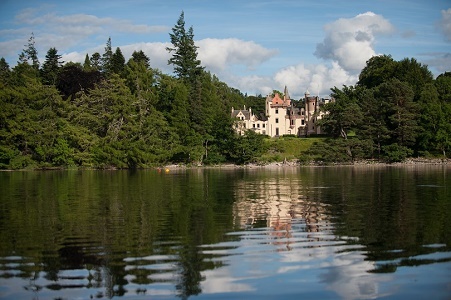 Now that you know Aldourie has all bases covered (not least your fine Scottish drink sampling) for a Castle retreat on Loch Ness, you’ve little else to do but pack your suitcase and book that culture-filled holiday of your dreams. Why not make yours a Christmas or New Years’ 2016 holiday in the atmospheric Scottish Highlands. June 16, 2016 at 7:32 pm. One of Lizzie’s very first jobs is to wait for the day’s guests to arrive. This could be an exclusive use family house party or some corporate guests coming to set up a business meeting. Once she has clocked their arrival Lizzie is highly trained at directing the cars and bikes and helping Aldourie’s guests settle in. 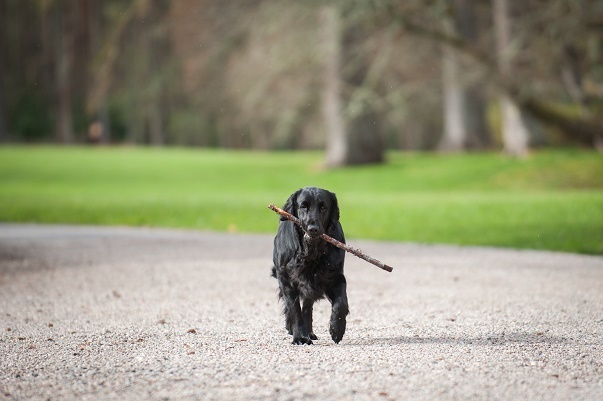 The experienced pooch tends to take the short cut whilst others stick to the main drive to make more of a grand entrance. 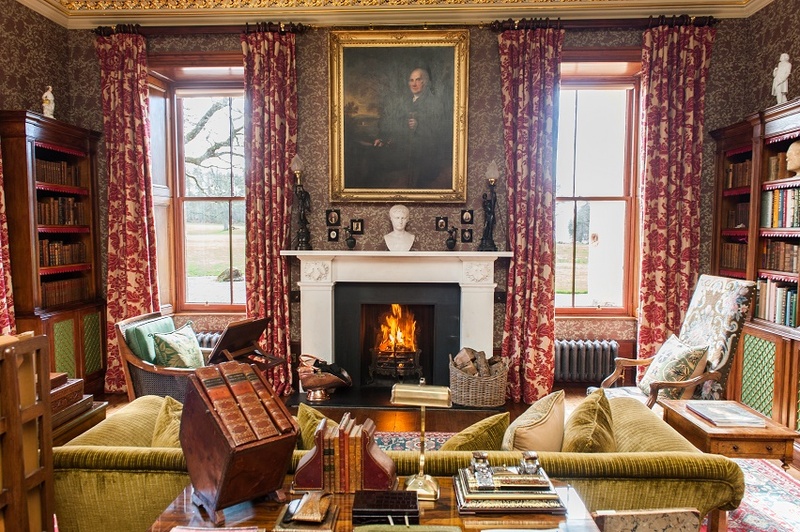 They soon realise however that being met and greeted at the Castle or Aldourie cottages is a very informal process and that, despite the grandeur of this historic Highland Estate, guests are made to feel right at home at Aldourie straight away. It’s a busy life for a Castle Dog; no sooner has Lizzie shown our new arrivals to their lodgings on Loch Ness then it’s time to grab their luggage and take it inside. If the Castle guests are part of a group booking, Lizzie consults her trusty list and makes sure that each suitcase is dropped off in the correct bedroom. So, you’ve arrived at your luxury holiday destination in beautiful Scotland and unpacked all your belongings. If you’re staying in one of the tranquil holiday cottages, feel free to sit in front of the fire with a warm coffee. Here is the ideal place to plan your break. 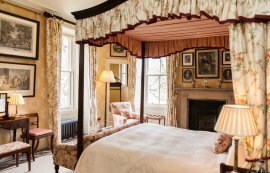 If you’re staying in the Castle overlooking the majestic Scottish Highlands you’ve likely requested a bottle of champagne and are currently enjoying the scenic outdoor views from your window. Then there’s a tap at the door. It’s only Lizzie to make sure you have settled in well enough and to check whether you need anything. Bless her furry paws. 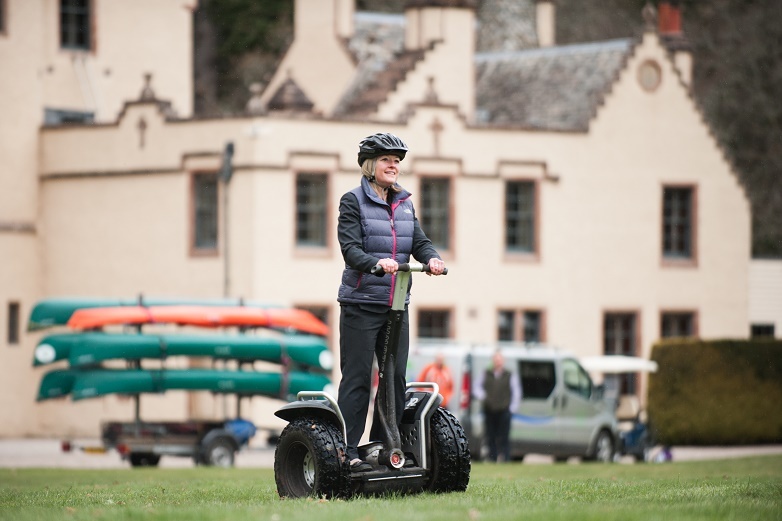 Being responsible for organising the fun activities both on and off the Highland Estate, either inside or outside the Castle, is something Lizzie takes a great deal of pride in. 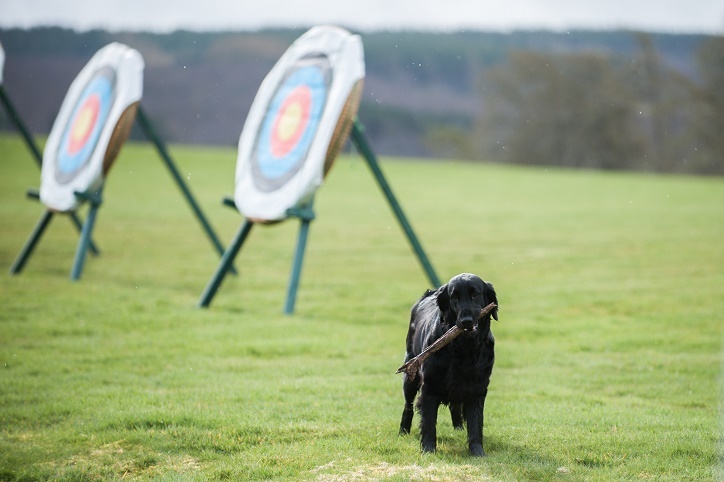 Liaising with Aldourie’s trusted suppliers in order to arrange unique and exciting activities such as archery in the grounds or a boat ride on Loch Ness for guests to enjoy is no mean feat. (No, Lizzie, that’s ‘mean feat’ not ‘meat treat’ – you can have one of those later. When you finish all your jobs). Borrow a pair of Hunters wellies from the Castle and take an adventure through the lush woodland. With 500 acres to explore no route you take will ever be the same in this unique place near Inverness. 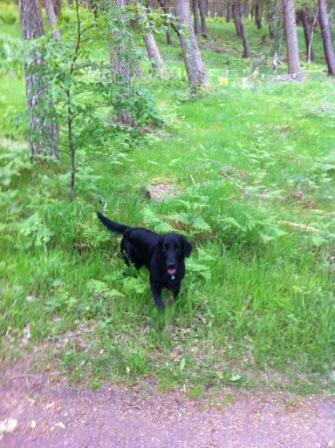 Some of our guests who take exclusive use of Aldourie Castle are happy to get lost in the arboretum. Stumble across the wooden Nessie and amble along to the private marina to gaze out across the mesmerising Loch. Other like to have a structured route and know exactly what time they are going to return for dinner. That’s when we ask Lizzie to act as tour guide showing people the short cuts and most scenic spots making sure to incorporate a trip to the tree house, family graveyard and pretty gardens. Speaking of the gardens at Aldourie, there is much to maintain that sometimes our gardeners need a bit of support to do the manual jobs whilst they concentrate on landscaping and making each area functional and pretty – or both. June 2, 2016 at 10:14 pm. 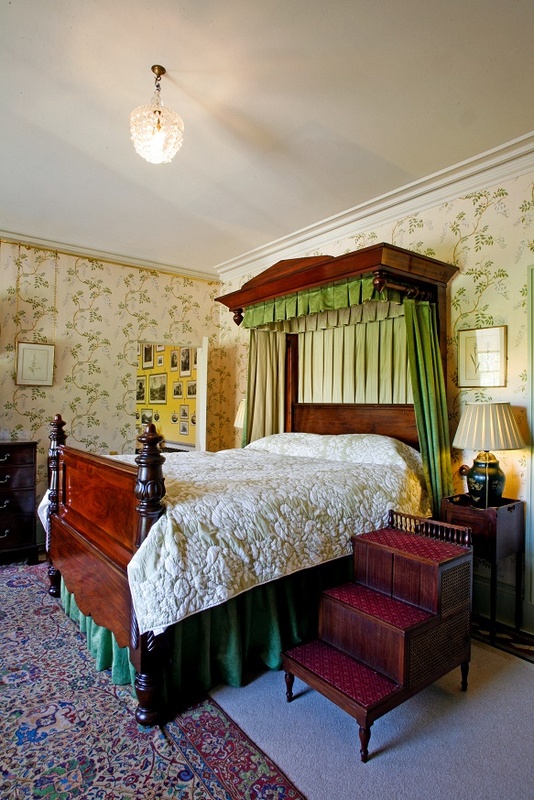 Garden Bedroom inside Aldourie Castle seems to hint at the outdoor enchantment. Its pastel coloured walls are peppered with delicate floral pattern. This camouflages the hidden door to an adjoining daffodil-yellow bathroom, itself laden with nostalgic prints of the ethereal Scottish Highlands. 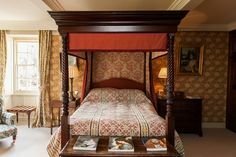 Above a grand mahogany four poster bed cascades rich green fabric whilst the opposing windows tease guests with picture perfect views. The greenhouses at Aldourie have long since been part of the private Castle’s charm and have stood in the vast clearing behind the dense arboretum for over a century. 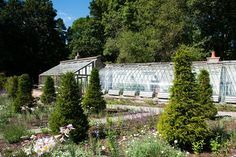 The past year has seen a lot of hard work by the Aldourie Estate’s gardeners go into the redesign and reconstruction of the greenhouses to better show off their shimmering glass panes and reveal the colourful treasures within. At the end of summer 2016 Aldourie Castle’s private guests will be free to wander across and pick their own goodies from the greenhouses to enjoy back inside the luxurious Castle. In the kitchen Aldourie’s personal chef will whip up something delicious to bring in the new season and the Castle can celebrate its reconciliation with the Estate in using own-grown produce to feed its guests. The enchanting woodland on the Aldourie Estate is a labyrinth of paths and clearings housing an abundance of wildlife varied enough to represent the whole of the Scottish Highlands. The 500 acre Estate is made up of part woodland and part parkland so you can imagine how much green there might be in and around the exclusive Castle’s grounds. Children enjoy their land of make believe exploring the woodland; making their own Easter trails and finding Santa’s Grotto at Christmastime. Just as much, adults love the romantic walks and catching a glimpse of deer playing in the moonlight on summer evenings. It’s not only the home grown salad that will be causing a stir in the Aldourie kitchen. Our keen gardeners have been working on the formal gardens making a specific area dedicated to a variety of herbs. These will eventually be hand-picked by our chefs on a daily basis to help flavour the already delicious dishes made for the Castle’s exclusive use guests. The pretty patch is already underway and brimming with possibilities. 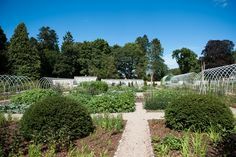 The hospitality team at Aldourie look forward to its official launch when the private hire property in Scotland can state that it uses herbs cut fresh from its gardens to flavour each and every dish on its menu. Just another way in which the Highlands Estate gives back to the Castle and its loyal guests. 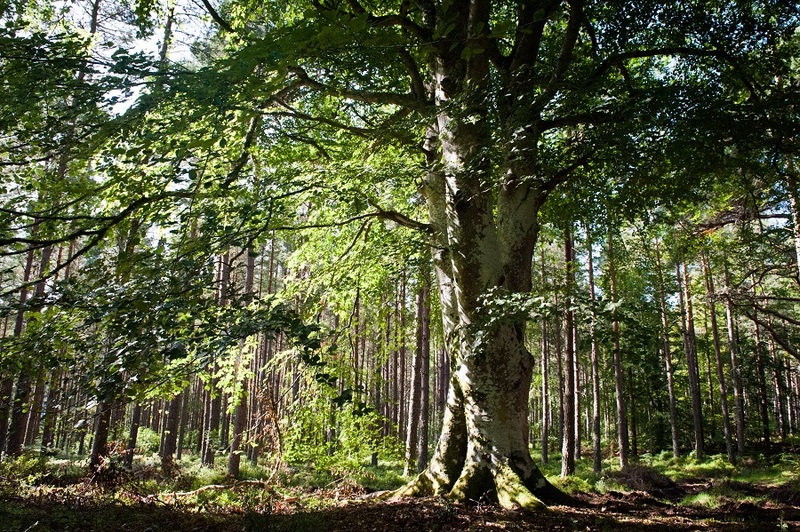 Filled with trees of every kind the Aldourie arboretum is a haven for adventure, freedom and fun. 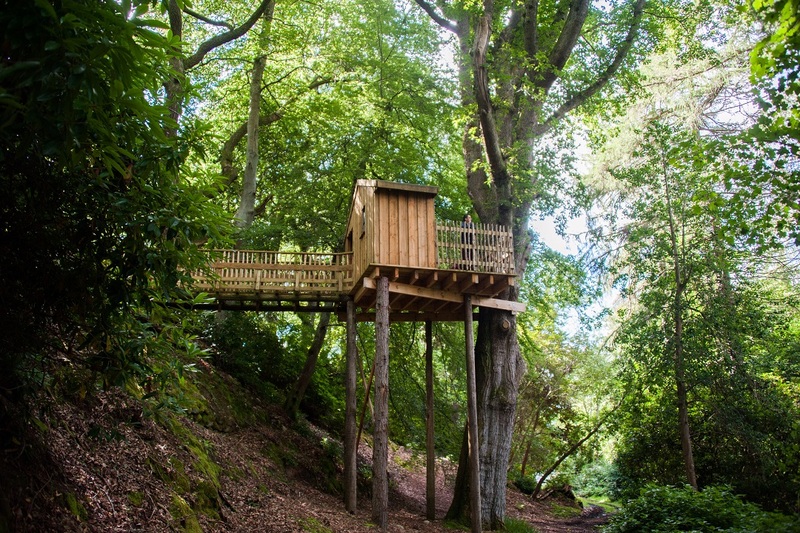 A nature lover’s paradise it houses surprises at every turn (we won’t tell you all of them as they won’t be a secret, then) and wondrous playful elements such as the majestic tree house on what could easily be the tallest stilts in Scotland. Discover the secrets of Loch Ness from your personal hiding place and then clamber down to find the novelty Nessie made out of a fallen tree trunk. A year ago the Aldourie gardeners decided to create a mini orchard on a sprawling country estate. Not only it a beautiful place to perch oneself with a good book it’s also yet another area of the private hire property’s grounds which is laden with fresh food. Guests can grab a bite to eat en route to the ancient arboretum or take back a basket full to the kitchen and request a dessert of their choice. Dotted with snow drops in winter and blue bells in the warmer months the mini orchard paints a colourful picture in these endlessly enchanting Scottish grounds. So the next time you pass a large manor house, stately home, great hall, or even a terracotta Castle with real turrets, sitting serenely in the middle of its private Estate, think of all the possible secrets those grounds could hold and what enjoyment and freedom acres and acres of land can provide not just for those who once lived amongst it but for the people of today who arrive for a luxury holiday, a friendly visit or simply to explore all the beauty that the Scottish Highlands’ back yard has to offer. February 12, 2016 at 8:27 am. When you choose an exclusive use venue or property, whether for an intimate or large scale event, it is important that you have viewed the property at least once for numerous reasons. A show round of a private hire property in Scotland will confirm that it is as spectacular in the flesh as in the photos you have seen or the testimonials you have read, not merely because Scotland is such a beautiful and mesmerising country. A personal viewing of your preferred celebration or holiday property will also serve to convince you whether or not it is suitable to host your family, friends or party of guests. It is of the utmost importance when planning an event of celebration that the host can find a common ground or even a rapport with the hospitality manager and their team. The main reason for this is so that they feel comfortable asking as many questions as they wish for peace of mind and are confident stating what they would and wouldn’t like out of the booking experience and later the actual occasion or celebration. If you as a company intend to make a corporate booking you may have certain expectations of your hospitality manager, the chef and waiting staff, if the success of your event depends upon your own client’s experience for example if you are booking a property as an incentive stay in Scotland. Show rounds help you to better visualise your potential event or experience. 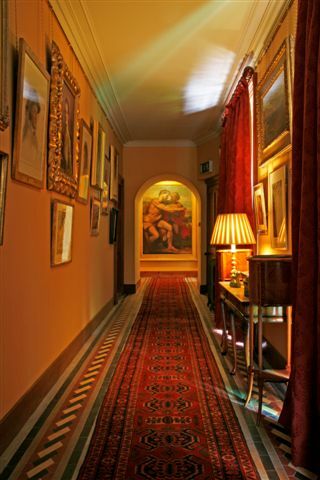 The moment you step foot inside the door of an exclusive hire property or venue for a show round, you instantly get a feel of the place and its personality. This is primarily down to its atmosphere which can be generated through a number of reasons – its decoration, comfort, cosiness and character being just a few. The atmosphere of a distinguished or luxury property has to impress, first and foremost, because you are paying a significant amount to make an impression on your guests. Sometimes, the very fact that a private hire property is exclusive to one particular party of guests is enough to make the desired impact, but more often than not atmosphere plays a large part in the decision to make a definite booking. You will generally get a sense of the private hire property’s warmth by how welcome and at home you feel being shown around the place whether it be a castle, a mansion house or a traditional cottage. As you wander from room to room is the general decoration of the walls, floors and furnishings to your liking? If you are choosing a property to hold a very special occasion where photographs will serve as treasured memories, for example a wedding or anniversary, it might be wise to consider whether the decoration or design is in tune with your own style. Does it reflect your personality in some way? It may make you feel more comfortable if it does. It is important to have a show round of a property you think you really like on screen or in photographs to make sure it suits you on both a personal and a practical level. As you are being shown around the bedrooms, bathrooms and living areas of the exclusive use venue or property consider if it is accurate to the description and the photographs you have seen online or in the brochure. Are they how you envisaged them and do they give you the feeling you imagined they would? Do they evoke happiness or a sense of nostalgia that made you interested to see the property in the first place? Ideally, an historic private hire property, especially somewhere as majestic as the Scottish Highlands or as entrancing as the shores of Loch Ness, should be able to equal its own external setting within in order to appear synonymous with its environment. If the property is surrounded by lush countryside and pretty gardens the interior and aesthetics of the building have to ‘fit’ with the overall picture and therefore have a sense of nostalgia, romance or peacefulness so it doesn’t look or feel out of place or time. The most elite of private hire properties will undoubtedly have all three. The location is key – you will realise how accessible, remote or quiet the property is as you journey into its vicinity or travel from the airport or main road. A map and directions to the venue given on a website can be misleading so if location is paramount to your decision to book an exclusive use property such as a castle, be aware of the distance you are travelling, the ease of the journey and anything else you think is important to be aware of. This route vetting can apply to any kind of booking be that for an important board of directors’ meeting or a multi-generation family reunion where guests are travelling from around the country or even the world. Whether for business meeting purposes or as a luxury holiday destination, seeing a property you wish to hire out on an exclusive basis up front is a vital part of the booking process from a practical perspective but also from an emotional point of view. So, look at it as a necessary day out to be savoured and enjoyed – especially if you have booked a food tasting as well!